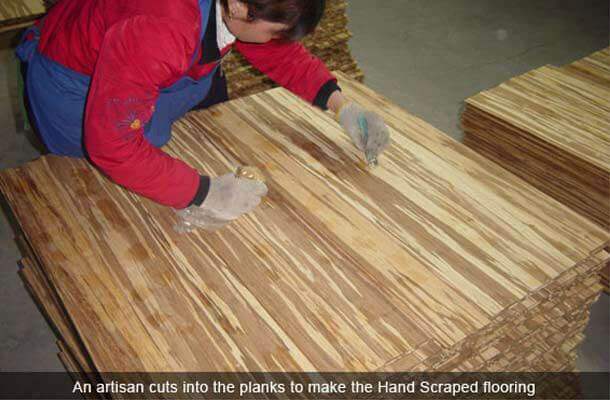 How Is Bamboo Flooring Made? 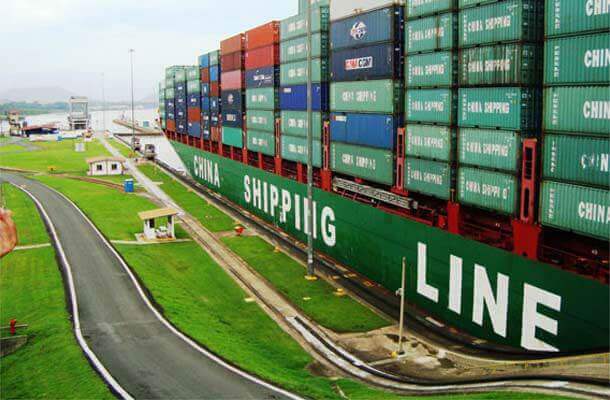 What Is The Manufacturing Process? 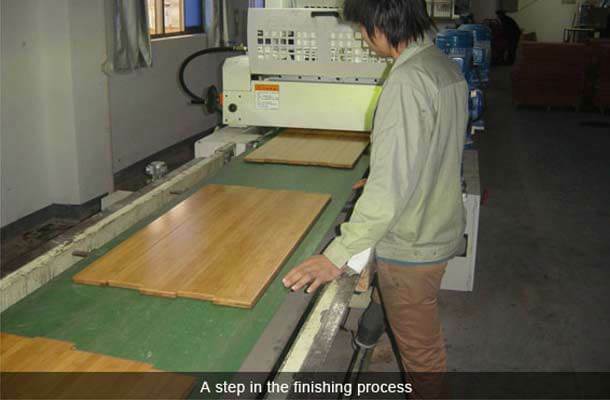 The crazy cool process by which today's bamboo flooring is made. You've probably seen bamboo growing in your neighborhood, or used as decorative material in all kinds of Tiki-inspired furniture, or maybe you even own a lucky bamboo plant. 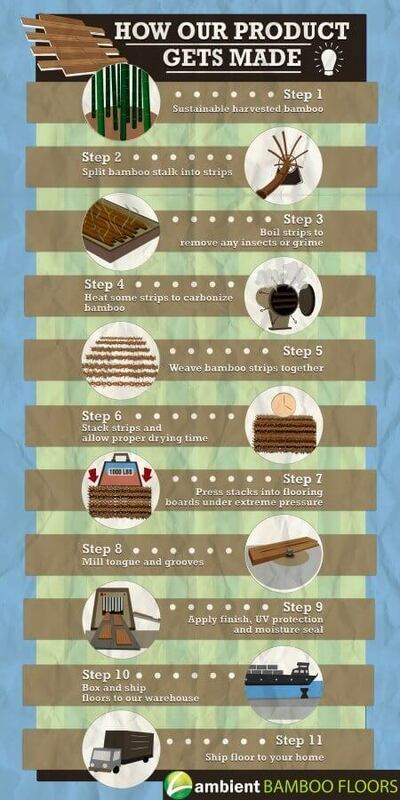 But you may still be wondering, how does bamboo get from it's plant form to be flooring?! It might seem like a crazy idea but when it comes to flooring, bamboo is no laughing matter. In a straight contest	between bamboo flooring	vs hardwood, bamboo wins for toughness, reliability and sophisticated good looks! (Note from the editor: we may be slightly biased). But growing in the indigenous forests of China means that traveling from the depths of the wild to the floors in your home is a fascinating process. We take a closer look at this incredible product. Harvesting the best raw materials. Like mom used to say: If you want to make a blue-ribbon apple pie, you've got to start by using blue-ribbon apples. Our lovingly tended Moso (or Mao) bamboo grows for 5-7 years in managed forests free of pesticides, herbicides and other toxic chemicals. Individual markings detailing age and quality ensure that only the highest caliber bamboo stems (called culms) are selected for use during each harvest. 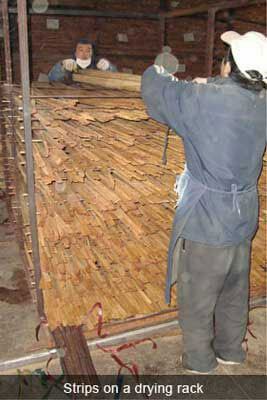 Each stalk is cut from the middle of the bamboo (the trunk-like main culm) and subjected to a rigorous inspection before transformation into beautiful, durable Ambient Bamboo flooring. Weaker culms are recycled and used for power in other parts of the manufacturing process or to make non-durable goods. Splicing and sorting, from stalk to strip. You can't shove a square peg through a round hole, and you can't make a flat floor using rounded bamboo stalks. That's why our skilled workers feed the hollow bamboo poles through a specially designed slicer, splicing them into thin, equally sized strips before peeling away their green outer layer. After splicing, the nodes (or joints between sections) are sanded down to create a smooth surface, resembling traditional hardwood. 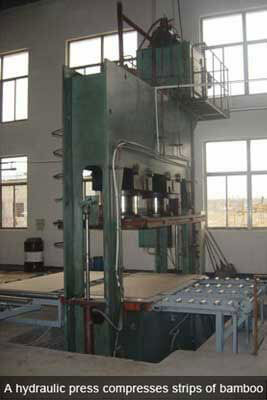 Unlike traditional lumber planking processes requiring massive, energy-guzzling machinery, bamboo splitting uses simpler, more efficient tools to get the raw materials from field to factory. Pest & decay prevention - creating a bug forcefield. An ounce of prevention is worth a pound of cure, so when it comes to fighting off insect invasions, Ambient floors get a battery of booster shots. Improperly treated wood flooring — whether traditional hardwood or bamboo — inevitably rots or falls victim to timber-consuming parasites, resulting in expensive costs which can be easily avoided by purchasing a properly treated floor from Ambient. 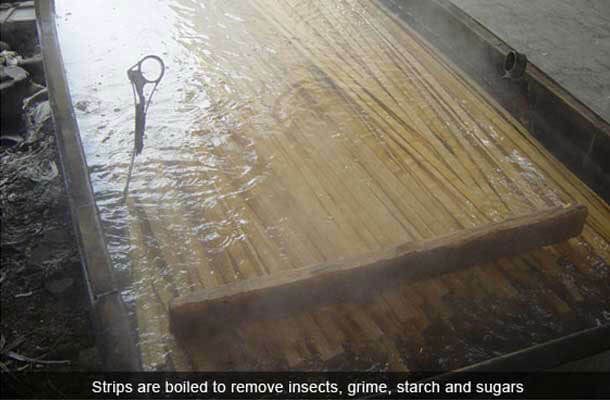 To prevent decay caused by impurities and to inoculate against future infestations at the hands of termites and other floor-destroying pests, Ambient's raw bamboo strips are boiled in a solution of lime acid to remove potentially damaging grime, insects, starches and sugars. Carbonization: deep, rich tones, inside and out. 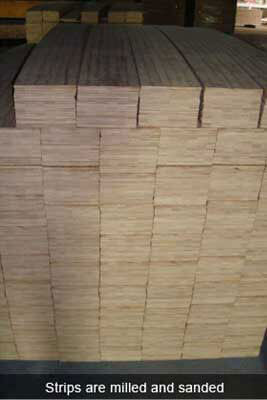 You guessed it, bamboo flooring is a natural blond (insert joke here). 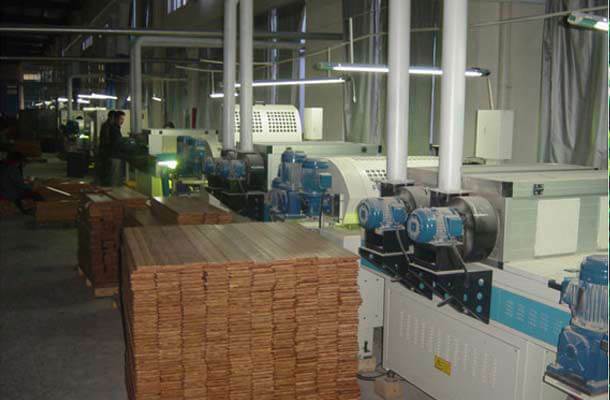 To achieve darker tones, bamboo strips are subjected to a process called carbonization. This carefully controlled, pressurized heating process affects the sugars deep within the bamboo's fibers, giving the entire strip a richer, darker color. Unlike staining, which simply changes the outer pigmentation of the lumber to which is it applied, bamboo carbonization changes the color of the bamboo all the way through, inside and out. Moisture balancing 101. Not too dry. Not too wet. Just right! Like a perfect bowl of porridge, carefully managing the moisture content of wood floors is essential to quality and durability; too much or too little moisture can cause wood to shrink or swell after its installed. Our floors are tested meticulously for just the right balance of moisture. 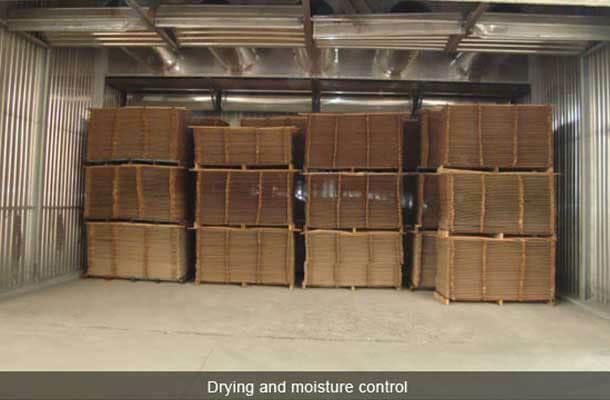 If moisture levels aren't up to Ambient's exacting standards, we dry the off-kilter strips in specialized kilns and then re-test them to ensure proper moisture content, maintaining our strict 8% +/- 2% standard for optimum dimensional stability. We test, and re-test, until we get this one right. Strip milling: prepare for planking. 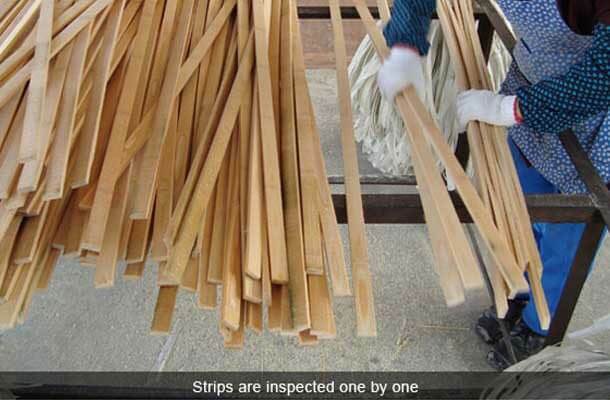 Once free of impurities and balanced for moisture, the bamboo strips are milled, sanded, and given an inspirational half-time pep talk to prepare them for the plank construction process. Milling machines cut the strips down to either strands, or a precise, standard width and thickness, before wide sanders smooth the surface of each strip to a uniform texture. At this point, some strips are turned into veneer for engineered floors. 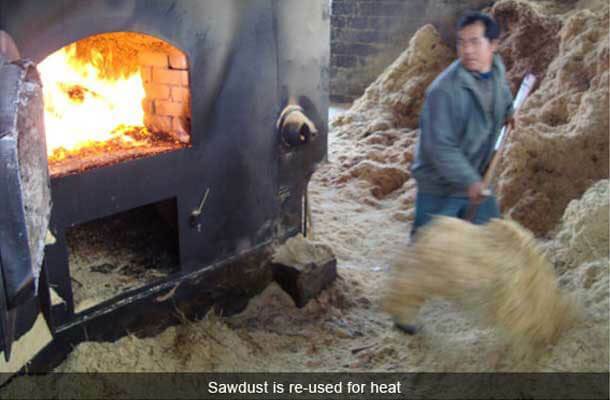 The sawdust created by this process is recycled to heat the kilns used for carbonization (Step 3). Plank construction: putting it all together. 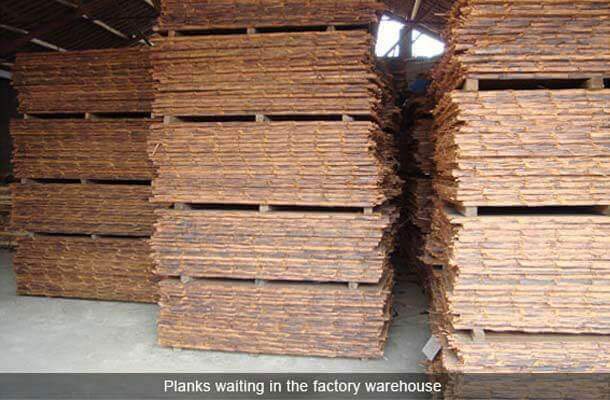 Depending on which type of flooring is being made — traditional (horizontal and vertical), strand woven, or engineered — a different plank construction process will occur next. Below is an overview of each process. 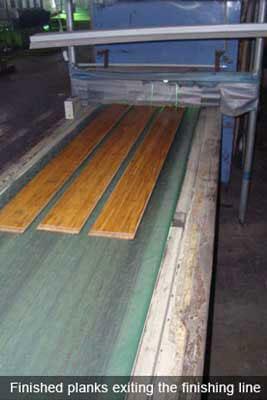 Because the individual bamboo strips are only about an inch wide, multiple pieces must be pressed together to form planks. 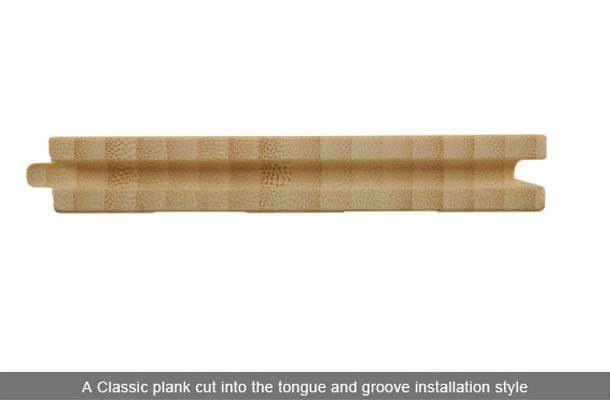 Ambient's vertical grain (also known as end-grain bamboo) floors are created by aligning the strips side by side before pressing, and horizontal grain (also known as flat-grain bamboo) floors are created by stacking the strips face-up, one on top of another. Once the strips are properly aligned, they are fused together using environmentally friendly adhesives and hydraulic pressure. Ambient's adhesives contain formaldehyde levels of less than 0.03 ppm — well below U.S. Occupational Safety and Health Administration (OSHA), European (E1 and E0) and California Air Resources Board (CARB) guidelines, and Ambient is proud to provide 100% formaldehyde-free floors on special order. Bamboo strips are pulled apart into strands, which are woven together and compressed multiple times under extreme pressure and heat. Ambient's strand woven floors are almost three times harder than oak, twice as dense as classic bamboo flooring, and able to leap tall buildings in a single bound. Not to worry, we don't use harmful chemicals or glues during our compression process! The top layer (veneer) of our strand-woven bamboo flooring is bonded to a tough, multi ply or HDF core and a recycled poplar base. The added dimensional stability on engineered planks means they won't suffer shrinkage or contraction as early as solid floating floors. Check out this page for more about the types of bamboo floors and their pros and cons. After pressurization, the planks are inspected once again for gapping, irregularities and other problems to ensure they do not delaminate. 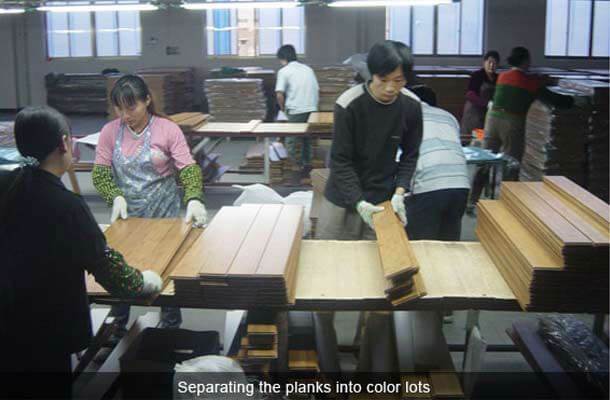 Planks not up to Ambient's exacting standards are removed from the assembly line. After making the cut, some floors are scraped by hand to create a distressed look. 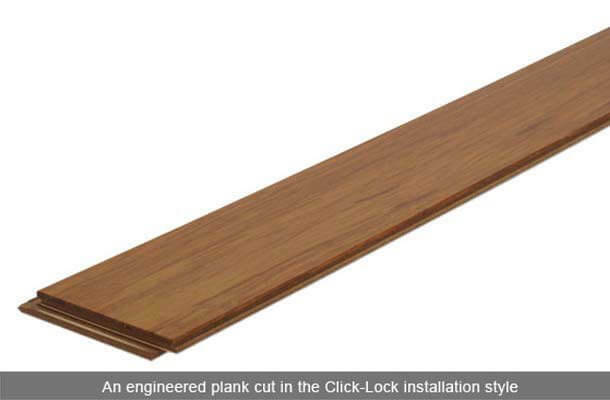 Plank milling: our planks go together, like rama lama ding dong. High-quality locking floors click together in perfect unison, just like a good Grease song, the Rockettes, or a successful casino heist. The same goes for tongue and groove planks — the better the milling, the less gaps you will have when you slide the planks together. We know this all too well. Therefore, once the planks are successfully fused and double checked for irregularities, it's back to our German-engineered milling machines, which cut each board into either click-lock or classic tongue-and-groove flooring. For all floors besides the engineered variety, the underside of each plank is milled into a ribbed pattern for support and maximum dimensional stability. After milling, the planks are sanded on top to ensure a smooth finish application and once again, inspected plank-by-plank and by hand for quality. AccuSeal® Finish System: the best finish on bamboo, period. When you're going outside in a thunderstorm you need a good rain slicker. When you're getting stepped on every day you need the toughest finish on the market. Our industry-leading 10-coat AccuSeal® Finish System is just what the doctor ordered. We apply a proprietary (shhhh... it's a secret!) top coating that makes our floors stand up for years while retaining their beauty. Like an ostrich in a chicken coop, an off-color or defective plank sticks out. Being overly meticulous is how we maintain our undisputed quality - via the industry's most thorough quality control inspections after our floors come off the finish line. 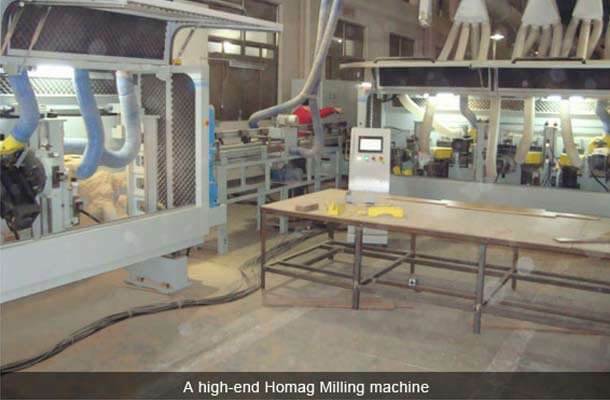 Our commitment to using only the best raw materials, milling process and finishes has resulted	in very happy customers and the lowest complaint ratio in our market. At Ambient we inspect our flooring planks one at a time and even group them into similar lots according to color. This painstaking process ensures that we can back up our Lifetime warranty. By carefully sorting color shades we also ensure there's enough variation in each lot to reflect the natural beauty of the wood. 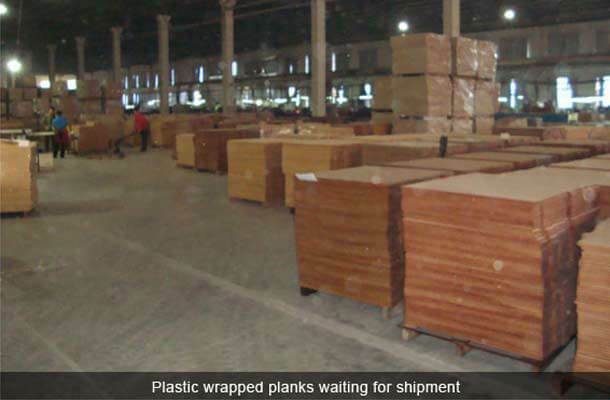 We wrap the bundled planks in plastic to protect them during shipment, and finally, enclose the bundles in cardboard boxes. Then, before sending them on their way to your home or office, we do a final quality control and color inspection to ensure all moldings match the floor and that your floor remains free of defects. Bamboo flooring has the appearance of a hardwood floor and is often chosen over other types of natural floors because of it's beauty, eco-friendliness, durability, and affordability. But technically bamboo isn’t a hard wood. Actually, it’s not even wood at all…it’s a grass. So that gorgeous bamboo flooring you’ve been eyeing up? It’s actually a grass floor. However, before you run for the hills, you should know that bamboo is one of the toughest natural materials that can be found and in tests has been shown to outperform steel alloys, concrete and graphite. Despite this unrivalled strength, bamboo is very flexible. Because of this, if you had to pick a place to shelter in the event of an earthquake, a bamboo forest would be one of the safest places on the planet! 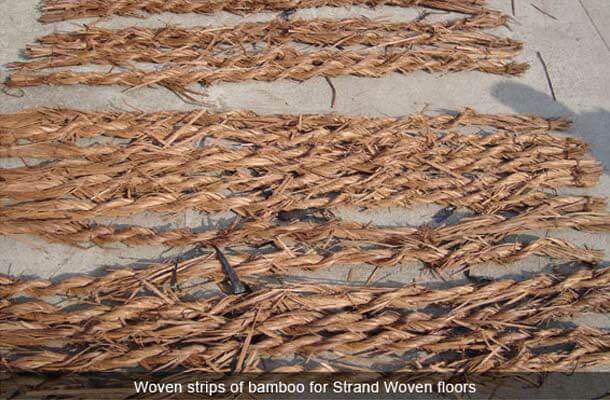 Homes made from bamboo have stood up to some of the fiercest earthquakes recorded, up to 9.0 in magnitude. So, now you know that even though it’s not a wood….it’s something even better. Trust Mother Nature on this. Cutting down bamboo from its natural habitat is tough work as you can imagine, but it’s even more mind-blowing when you hear more about the conditions in which it must be harvested. 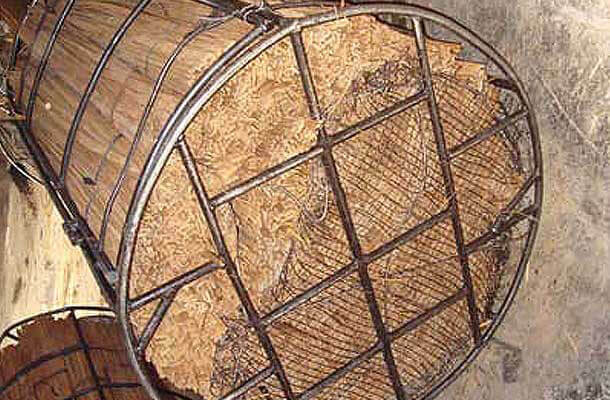 Sugar in the sap must be at its lowest ebb when the bamboo is cut down for it to be in the optimum condition. This means that working during the day - when there’s the most light - is out of the question. 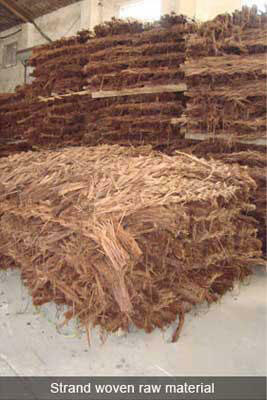 Allowing the culms to age for 5 years is also important, as is using the middle part of the stalks. Traditional methods calculate the best moon phase to harvest the bamboo which involves working during a waning moon, at dusk or dawn only. Those of us that have bamboo in our gardens already know that bamboo regenerates extremely quickly. With the roots left intact, it can grow as quickly as four feet in just 24 hours if conditions are right. Don’t worry about the pandas being deprived of their favorite tasty snack: the large bamboo culms used for wood flooring aren’t on the panda menu. After harvesting, bamboo goes through a number of different stages to become the smooth, hard and elegant flooring you expect to see. Firstly, the stalk is split down into strips which are then boiled to get rid of any insects, pests or grime. After this concoction has done its work, the strips are then heated and carbonized. But there’s no time to sit back and relax as you aren't even halfway through the process of creating stranded bamboo flooring! Next, it’s time to get weaving as the strips are woven together tightly before being stacked and left to dry for as long as is needed. These stacks are then subjected to extreme pressurization under intense heat that causes all of the sinewy strand of raw material to fuse together; this results in ultra-dense planks of bamboo which are super-galactic in their longevity and durability. At this point the bamboo now resembles their hardwood counterparts, and you’d have a tough job identifying it as grass. All that’s left then is to mill the tongue and grooves before applying UV protection, the finish, and the moisture seal treatment. These finished pieces of bamboo are then boxed and shipped out to our warehouses and that ultimately could end up on the floor of your home. 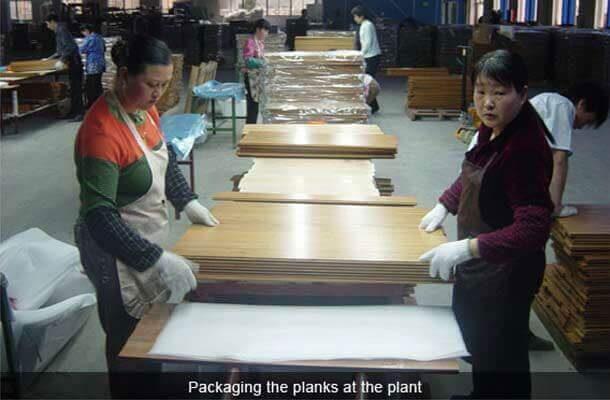 This manufacturing process is incredibly detailed, with every single step carefully watched by our engineers to ensure we're shipping out only the highest quality strand woven bamboo flooring. Bamboo undergoes a number of transformations to allow flooring manufacturers to capture its natural strength and durability. 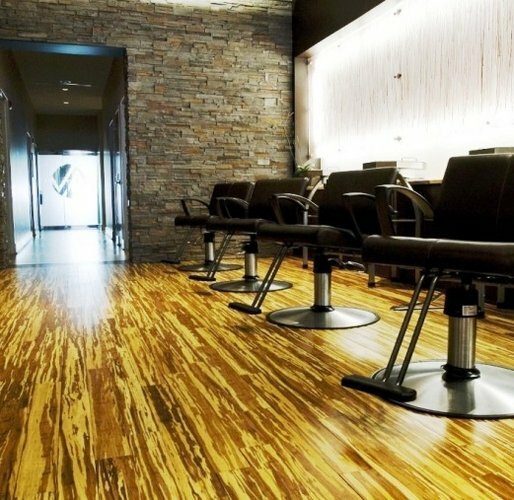 Strand woven bamboo processes create flooring which is unrivaled in appearance and performance, so go ahead and admire its golden, amber or rich coffee tones!